Body contouring after major weight loss reduces the excess skin and fat that is left behind from the expansion of skin, loss of fat and lack of tissue elasticity that often occurs after a major weight loss. This sagging skin commonly develops around the face, neck, upper arms, breast, abdomen buttocks and thighs and can make your body appear irregular and misshapen. If you have undergone dramatic weight loss either through diet and exercise or bariatric surgery, and you are at your optimum weight loss goal, you may choose to have this procedure. Am I a good candidate for the surgery? Your visit with Dr. Wilson will determine if you are a good candidate. In general, the following are guidelines for body contouring after massive weight loss. Individuals with a positive outlook and realistic goals for what body contouring can accomplish. What should I expect from my consultation? During your consultation, you will learn about the surgery, its limitations and risks, and discuss your needs and concerns. Dr. Wilson will examine your body and will consider such factors as the quality of your skin tone and the contour of your body. He will explain which surgical techniques are most appropriate for you. You may also schedule an additional consultation to view computer imaging so that you can visualize the results of the surgical technique specifically designed for you. You should come to the consultation prepared to discuss your medical history. This will include information about any medical conditions, drug allergies, medical treatments you have received including previous surgeries and medications that you currently take. It is important for you to provide complete information. also called a central body lift. This surgery makes an incision circumferentially around the waist and is the best approach for patients who want to change the diameter of their waist as well as remove excess skin. In this procedure, a wedge of tissue that goes around the lower aspect of the lower trunk is removed to treat the entire region so that the greatest amount of improvement can be attained. In certain patients, a thigh lift is what they need to remove excess sagging skin from the thighs. The medial thigh lift will lift and tighten the sagging skin of the inner thigh. Incisions are usually placed in the groin. This 46 year old patient desired body contouring to remove her panniculus flap after losing 50 kgs following a sleeve gastrectomy. A panniculectomy, central body lift and Vaser liposuction of her flank and back were performed. This 42 year old patient desired body contouring to remove her panniculus flap for health reasons. A panniculectomy, central body lift and liposuction of her flank and back were performed. 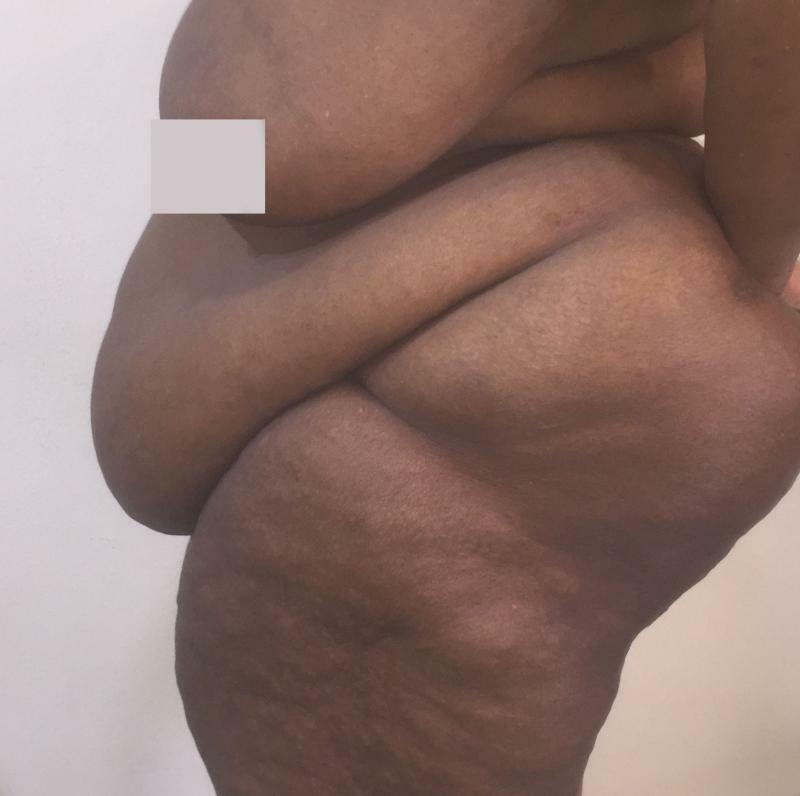 This 23 year old patient desired body contouring after massive weight loss. A full body lift of the arms, thighs and panniculectomy of her abdomen and flank were performed in one session﻿. Note the marvellous contour attained and extent of tissues lifted. 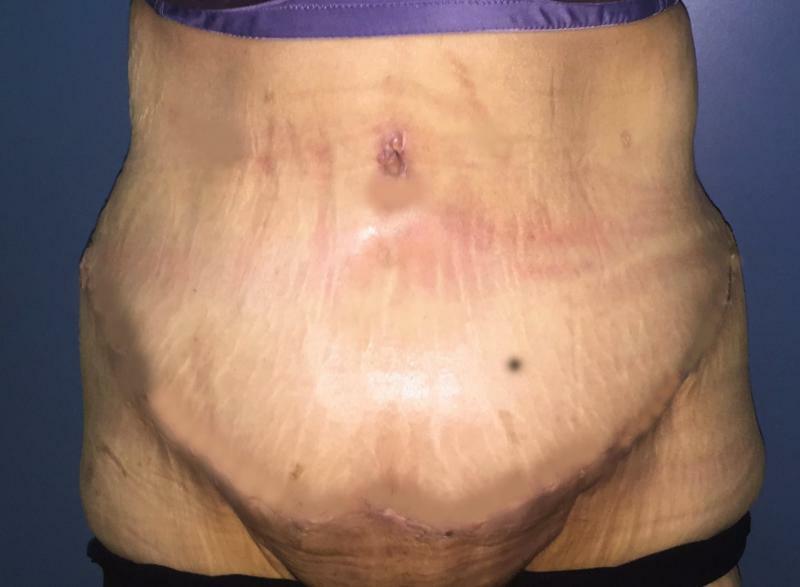 This 62 year old patient desired body contouring to remove her panniculus flap. A panniculectomy and central body lift of her flank and back were performed. 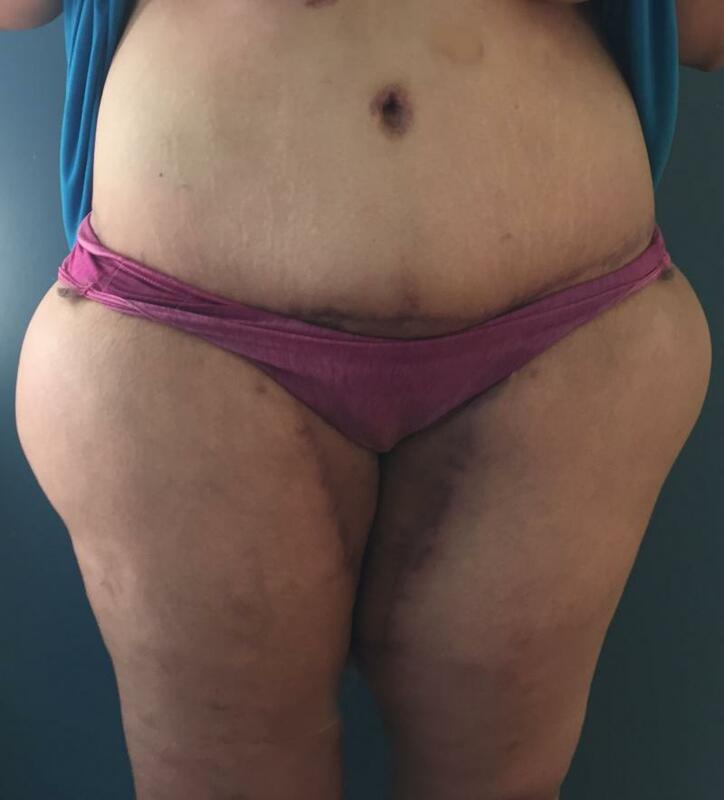 Central Body Lift, Panniculectomy, Vaser liposuction:﻿ This 59 year old patient desired body contouring to remove her overhanging abdominal flap. 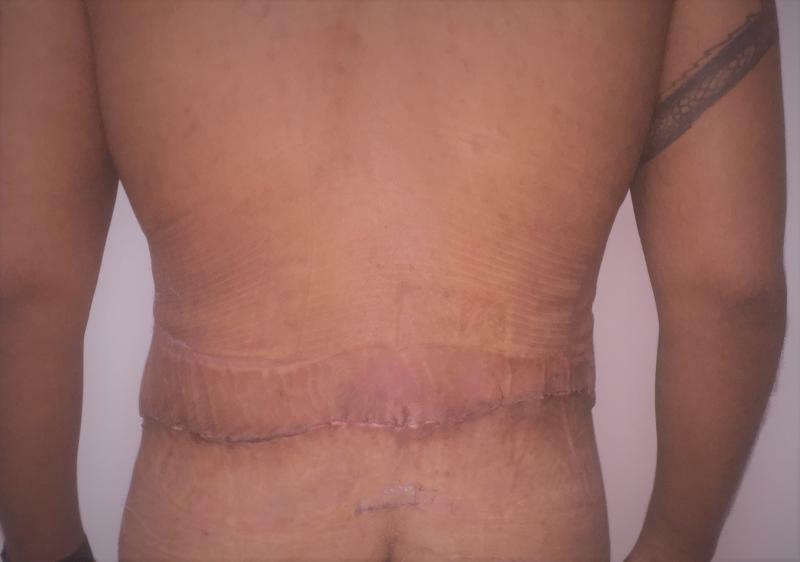 A panniculectomy and central body lift was performed with Vaser Liposuction of the flank. 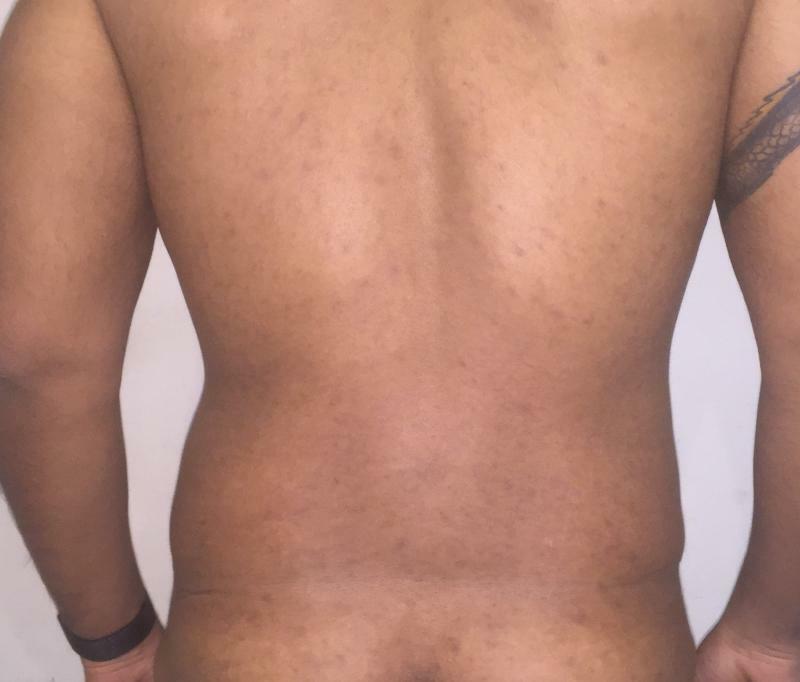 Abdominal and Thigh Lift: Following weight loss after gastric bypass surgery in this 22-year old male, he had redundant abdominal and thigh skin. Full abdominal and thigh lifts were performed.